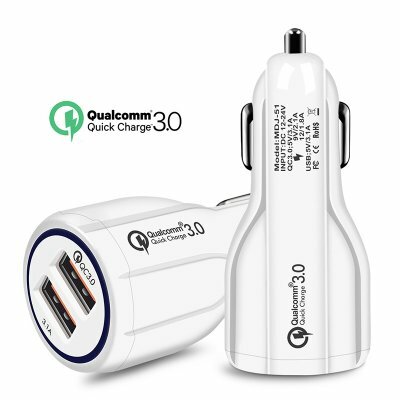 Successfully Added Quick Charge 3.0 Car Charger 2 Ports USB Fast Dual Adapter for Phone White to your Shopping Cart. The use of professional charging module, built-in 2 USB interface. PC+ABS fireproof plastic, long-lasting, with solid structure and high strength. Bulit-in protect chip, overcurrent protection, overtemperature protection. Fashion design and pure color, a great charger also a cool car ornamanet.